Asphalt Paving VS Concrete: Which one to use? In doing asphalt paving, one of the issues contractors face is choosing between asphalt and concrete. Most modern-day paving techniques make use of asphalt and concrete. Asphalt and concrete are quite flexible materials. They have long been used in history in the building sector. However, the biggest difference between the two is the price. But which one is actually better to use especially in building parking areas and/or garage surfaces? Let this list of benefits and pitfalls of concrete paving and asphalt enlighten you. Concrete is prone to splitting and twisting. Compared to asphalt, concrete is heavy and firm layout. Some of the things that easily damages concrete include tree roots, ground movement, freeze thaw cycles, and dirt movement. Concrete paving requires more time and budget than asphalt paving. This hold specifically true with the larger a projects. Fixes to damaged concrete paving projects are a bit more expensive. They also do not blend as asphalt paving does. Concrete paving lasts longer than asphalt paving areas. On the flipside, let’s see the pros and cons of asphalt paving. 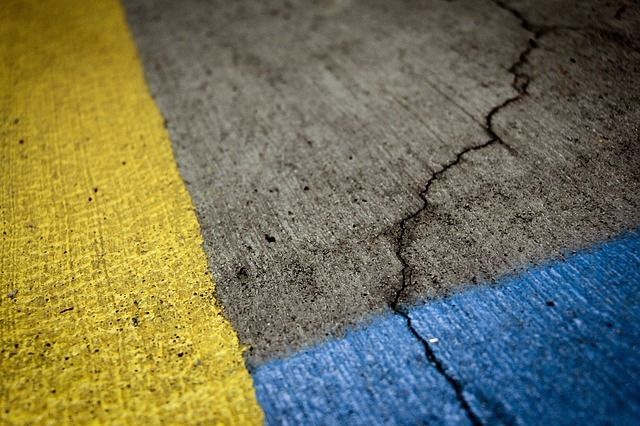 Asphalt needs upkeep including crack filling, seal coating, and other forgotten expenses. Asphalt Paving offers better environmental adaptability over concrete especially when managing tension and fracturing. Asphalt is the best material to use for easy pothole repair. It is a great enduring answer for fixing potholes in a much shorter time than concrete. If Asphalt is not conserved, the expenses and damages can intensify. Asphalt is often used in maintaining and repairing parking areas, drives, and streets. Preparing asphalt paving is simple. It can be done directly over today sidewalk, walkways, driveways and parking lots. Asphalt sets much faster compared to concrete offering it a strong benefit in both expense and comfort for parking area and garage paving. Asphalt is a more environmentally friendly and recyclable that have many benefits for garage, roadway, and parking lot applications. Initial costs for new pavement is exponentially cheaper when using asphalt than concrete. Concrete paving is a long lasting and requires less maintenance. With that being said, repair costs for concrete areas are costlier than asphalt. Asphalt paving can easily be done straight over the current pavement in many situations. In order to decide which material to use, be aware of where you will use it. Take into consideration where you need to use it and how much you are willing to spend. Talk with your contractor and engineer about it. asphalt versus concrete, asphalt vs concrete. permalink.